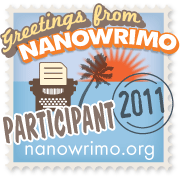 Yeah, I'm doing NaNoWriMo again this year. Considering how busy I am with a host of other things, this is going to be an interesting experiment. Wish me luck.